Science plays an important part in many aspects of our lives today. 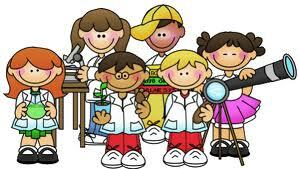 In our school, classes carry out a variety of Science activities to encourage fun and discovery in all areas. 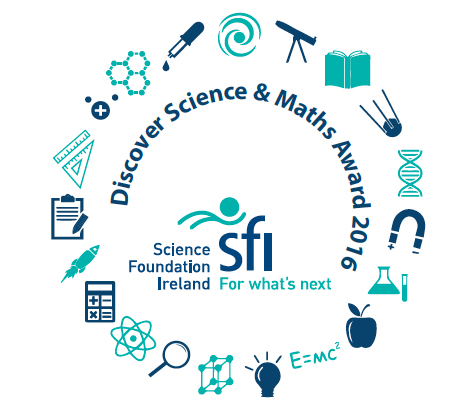 Scoil Náisiúnta Cnoc An Éin has achieved a Science Foundation Ireland Discover Science and Maths Plaque of STEM Excellence for the 2015/16 academic year in recognition for the science, technology, engineering and maths work being carried out in the school. In May 2014, our school received this national Award of Science and Maths Excellence . This award recognise the achievements of primary school children and their teachers in the application of science and maths in the classroom As well as keeping a log of all science work for the year, pupils this year also had to show how they integrated Maths into their experiments and evidence of participation in the Greenwave project. It also required the school to show how it used technology in the teaching of science. All the classes in the school contributed in some way towards the finished log book and it is only fitting that their work should be acknowledged. Well done!! Many thanks to all the teachers and Ursula who contributed to this project over the past number of months. Thanks to Realprint Printing and Signage for all their help in covering the finished book. Last Wednesday, Feb 12th John Magner a lighthouse keeper for over 24 years paid us a visit at school. He talked to us about living in a lighthouses and working in one. There was always two bulbs going at one time. He brought us in a bulb that they used in the lighthouse- it was massive!!!! His favourite things to do in a lighthouse were making crafts and playing games. In his spare time, he knitted a huge rug and a quilt. There were three people working in a lighthouse at once. If he worked for two weeks he’d get two weeks off and if he worked for one month he’d get one month off. It was tough working in a lighthouse he said. He used to fish a lot and they ate a lot of dried food. They had to bring their own food onto the lighthouse because there were no shops nearby. He showed us some art and crafts that he made. We also made lighthouses at home it was quite hard. To make a lighthouse is easy! You just need patience, imagination and all of these things! Paint your kitchen roll any colour you like. Get your wire light bulb, AA battery and light bulb holder. Screw up the nail and stick wire in and screw down again forming a circle. Decorate with anything you like and Voila! Mr. Murphy’s class have been very busy designing and creating their own websites! The links below are all Science related websites. The password to view them is knockanean. Well done Fourth Class! On Friday the 31st of January, 2014, an energy workshop was held. A woman named Áine visited our school to tell us about how to save energy and reduce pollution. She thought us to reduce carbon dioxide by car pooling and taking shorter showers and lots of more brilliant ideas to save energy. Áine also did experiments with us, they included a berocca boost tablet and a pinch of water in a tiny container which then it created carbon dioxide. It got trapped and exploded. We enjoyed this very good lesson with Áine and hope she visits us again. Greenwave is a mass science experiment involving primary schools across Ireland. It examines and records how spring arrives in Ireland. Students observe and record when certain plants and animals react to the longer days and warmer temperatures, in order to find out whether the “green wave” of spring moves from south to north across Ireland or inland from the coast to the centre of the country. Taking part in Greenwave is a practical way to support the teaching of the SESE curriculum and pupils in 2nd – 6th are currently involved in this project. Pupils can email in their photographs or bring them into the office on a memory stick. Click on the image to go to the Greenwave website for more information and to check it out for yourself. On December 6th 2013, three students- Sinead O’Connor, Ciara McNamara and Grace Kennedy represented the school in the regional finals of the Intel Mini Scientists, in Shannon. There was very strong opposition and the judges came around to each stand seven or eight times. We didn’t make it through to the All Irelands but there was a lot of very good projects. We got hot chocolate and we met the Mayor. We got a goody bag and an Intel hat. We had a fantastic day !! Intel Mini Scientist Judging Day: On the 17th of October the projects were judged.We had to impress the judges. We had to explain how our project worked. We made a booklet about our project. The project that won was about how a camera worked by Grace Kennedy, Sinead O’Connor and Ciara McNamara. In second place, was a project about a boat that worked by steam by Killian Maduro. We all got an Intel mini scientist goody bag!! By Sinead O’Connor, Ciara McNamara, Grace Kennedy and Killian Maduro.